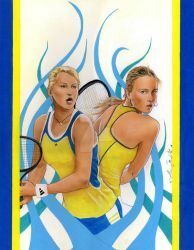 Sometimes on DA you really have to search to discover Sports Art and Artist. 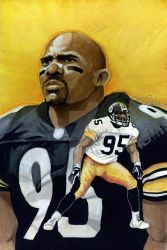 SportsArt Group was created to make it a little easier to find your favorite Sports Artist and/or your favorite player or team created in your favorite art medium all in one place. Created a new SportsArt Group for all you Sports Artist and Sports Lovers. 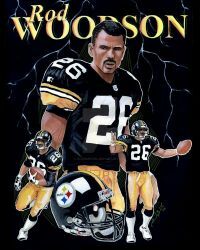 In the past you had to do a lot of searching on DA to find Sports Art so I wanted a place you could easily go to see some of your favorite Sports Artist and Sports Art. All Sports Art welcome from Digital to Traditional and from Olympics to Rugby. To get started you just click on the join group button and your request will be reviewed for acceptance. (Being a firefighter my schedule is 24 hours on duty and 48 hours off duty so might take a little bit to get reviewed) Once accepted as a member you can then click on the "contribute art" button and select which folder to put your art in. Bare with me while I am still working on getting it organized. All photos where defaulting to favs now I think the Gallery Folders are working, Any questions let me know. Sorry, my finger moved before my brain could react. I accidentally put a football coaster in the baseball file. My apologies. I submitted a cycling painting "Andrea Tafi", but there was no option for "other" in the submission process - so I believe it went to baseball. Thanks Chris...Great Work! I will create a spot for it.